Indicate how all these factors and elements are inter-related. 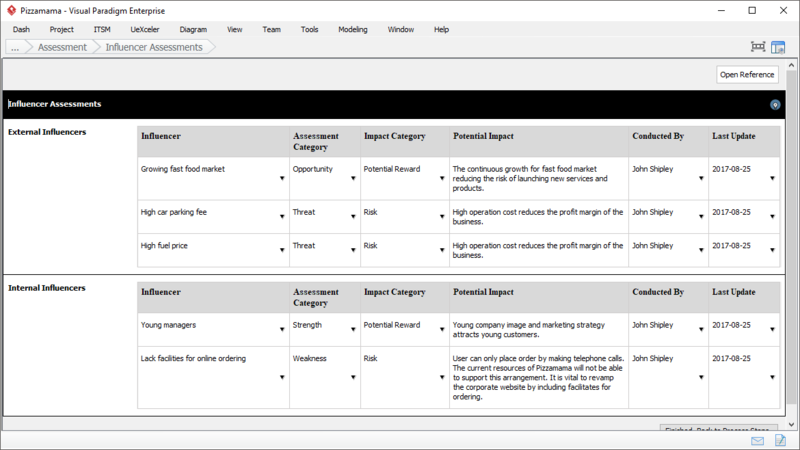 Complete the BMM process by filling in various forms. This figure shows the form of Assessment, which involves the selection in External and Internal Influencers and to describe the potential impacts associated. A diagram is worth a thousands words. 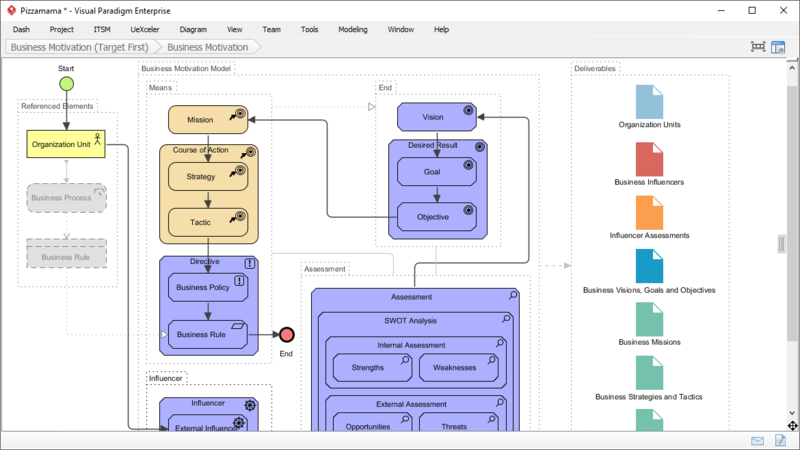 The BMM Guide-Through process analyze your input data and generated diagram from it on-demand. 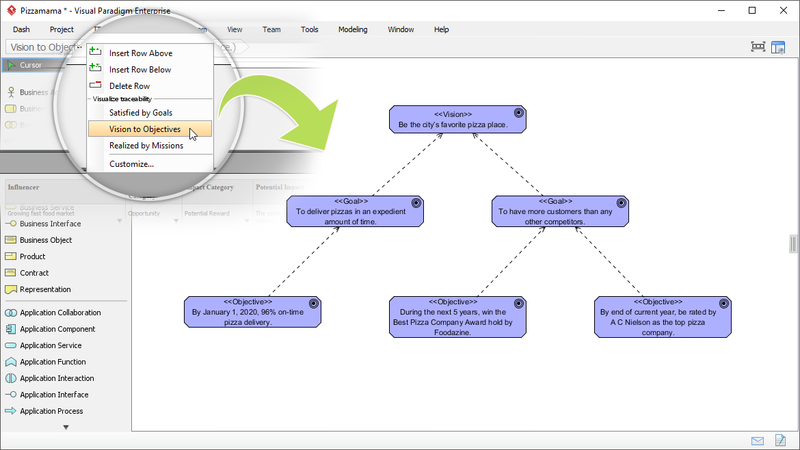 You can visualize traceability of elements by means of ArchiMate Diagrams. 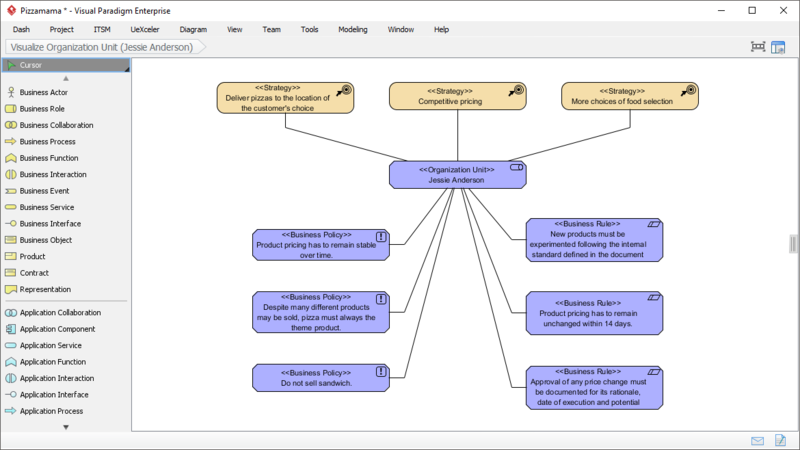 Another example of diagram generated from BMM Guide-Through process, which depicts the Strategy, Organization Units, Business Policies and Rules, and their inter-relationships. 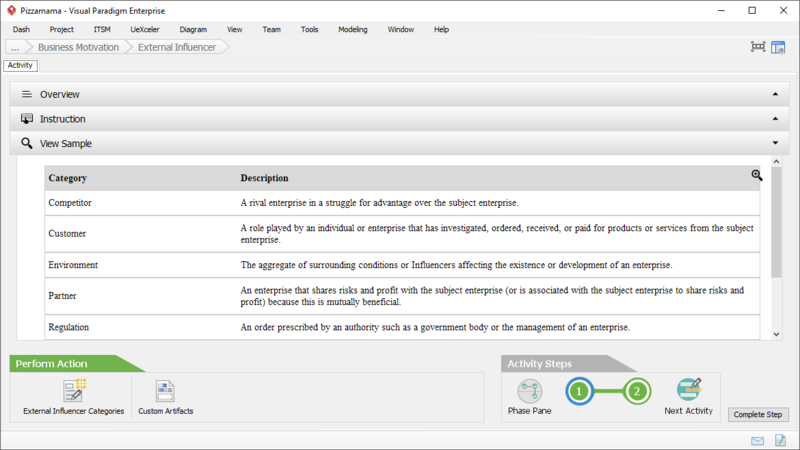 Click to generate documents from the BMM process for communication purposes. 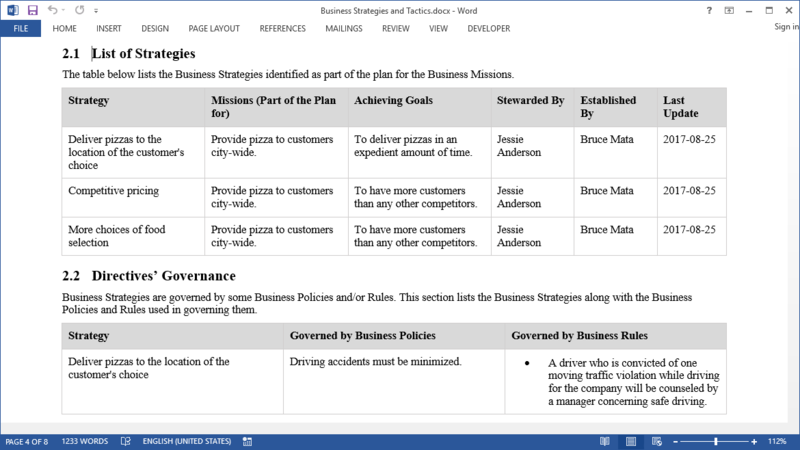 A full set of document templates are provided. You don't really need to learn BMM prior to using BMM Guide-Through because you are always GUIDED. This figure shows the instructions that teach you how to perform the action required. You can also study the samples we provided in knowing what to do. 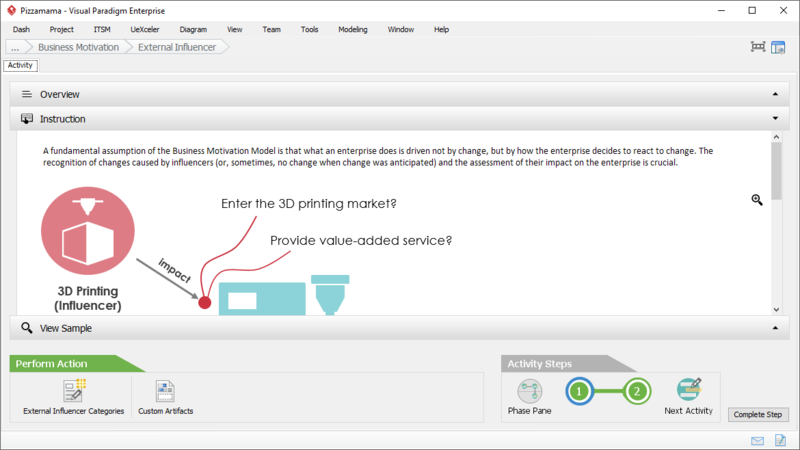 What is Business Motivation Model?